Update, May 9: We’ve got another look at the next COD Zombies mode. Sort of. We know Zombies mode will be back in Call of Duty: Black Ops 4, and we’ll be hearing much more about the game in little more than a week. That, of course, won’t stop Treyarch from laying out the teases along the way, and they’ve let out a new image offering a Zombies sneak peek. Here’s everything we want to see from Call of Duty: Black Ops 4’s Zombies mode! That’s not much to go on, but since everyone in gaming is already asking “what do these runes say?” it’s not much of a stretch to keep that going here. 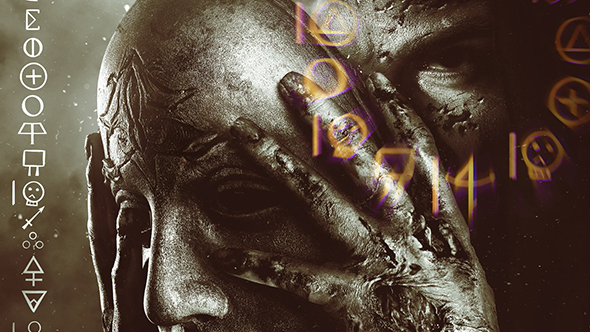 Nobody seems to have a firm grasp on what the runes mean yet, but the tone of the imagery suggests we’re going back to somewhat more sinister and somewhat less goofy version of the Zombies mode. Everything we know about Black Ops 4 so far is a combination of rumours and teases. Early reports have suggested the game will drop its single-player campaign in favour of multiplayer and co-op features – maybe even battle royale – and all Treyarch’s teases so far have indeed been multiplayer-centric. We’ll find out more at the reveal event on May 17. Original story, May 8:The official E3 Twitter account seems to confirm the news that we’ve all been expecting to hear: Call of Duty: Black Ops 4 is getting a Zombies mode. The tweet, which you can see below, teases an E3 Coliseum panel about the history of Zombies mode, which will be open to any E3 attendees and livestreamed to Facebook. The tweet begins with the question, “what’s lurking around the corner of Treyarch’s next Call of Duty: Black Ops 4 Zombies experience?”, which they may not be aware is the first confirmation we’ve had of the mode. It was always likely that Black Ops 4 would get the popular mode since Treyarch created it in the first place, as the tweet points out, and it’s been in all of their games since 2008’s Call of Duty: World At War. There have been a lot of rumours about changes to the series for the next game, including the possibility that it will have a battle royale mode and no single-player campaign. Activision are fully aware of the success of Fortnite and PlayerUnknown’s Battlegrounds, so this rumour might prove true.